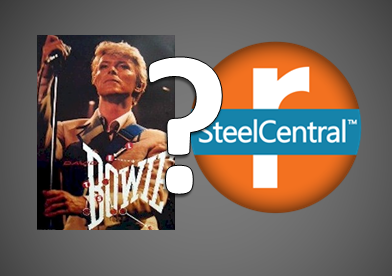 How is Riverbed APM Related to David Bowie? The number 521, that’s how! It’s an important number, really. It is a prime number, an Einstein Prime with no imaginary part. It is also a Chen prime, and a Lucas Number. DNA has a 521-year half-life. There are 521 catalogued languages in Nigeria. On 5/21 in 1804, the Lewis and Clark expedition began. On the same day in 1927 Charles Lindberg’s famous solo flight across the Atlantic landed, and on 5/21 in 1983 David Bowie’s “Let’s Dance” single reached #1. And an analysis done by IDC shows an average of a three-year return on investment (ROI) of 521% on the SteelCentral Application Performance Management solutions, AppInternals and AppResponse. SteelCentral AppInternals combines end-user experience monitoring, code-level transaction tracing, and application component monitoring into one solution designed specifically with today’s complex IT environments in mind. SteelCentral AppResponse complements AppInternals with a network-based view of how Web and non-Web applications are performing. These products work side by side to provide the best application monitoring, or can be used separately based on your individual needs. IDC’s analysis showed that these customers are achieving an average payback period of just 6.4 months. The customers surveyed will spend approximately $2.6 million per organization on Riverbed solutions, and achieve $16.1 million in benefits. This results in a $13.5 million net present value (NPV). The customers surveyed for this white paper saw their investment quintuple over three years, saving their business money, time, and frustration. 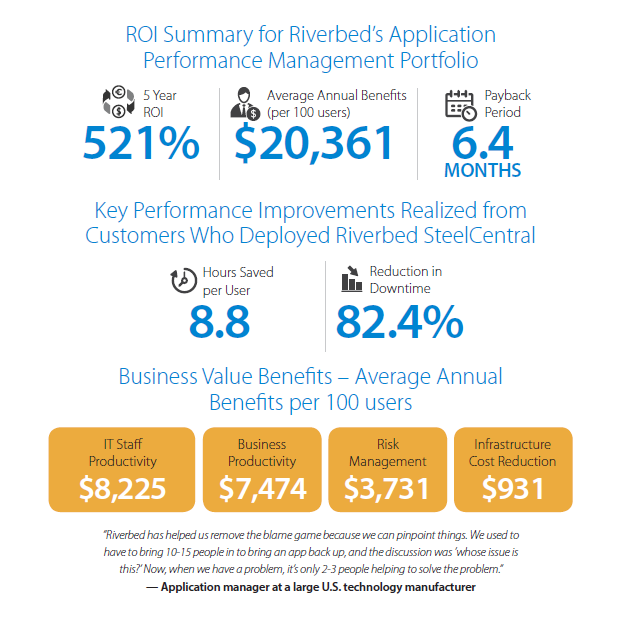 How could Riverbed’s APM solutions benefit your business? Download the full IDC white paper today to learn more about AppInternals and AppResponse, and discover just how much they could mean to you.